Plasma treatments are fast becoming a plastic surgeons worst nightmare! 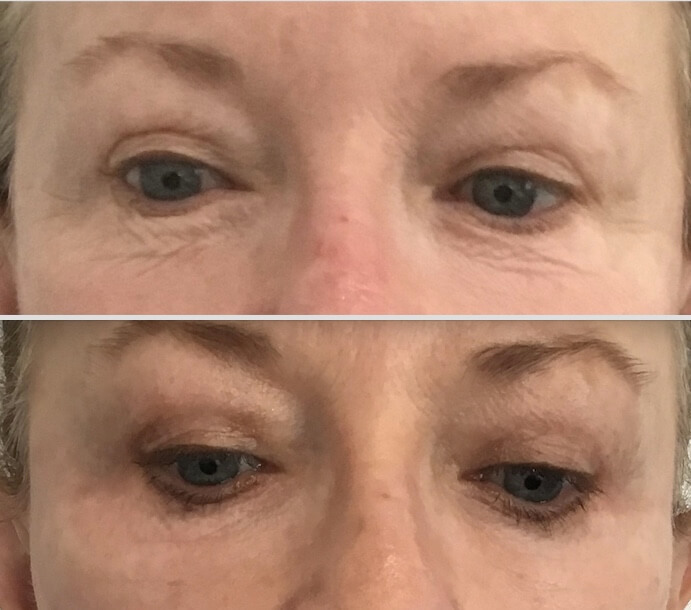 This revolutionary and highly effective procedure provides non surgical eye lifts (blepharoplasty) non surgical face & neck lifts, skin tightening and wrinkle treatments. It is providing results comparable with cosmetic surgery, without any scalpels, stitches, general anaesthetic and hospital stays with minimal downtime. If you’d like a non surgical and non-invasive alternative to a blepharoplasty (eye lid lift), neck lift, face lift, brow lift, lip lift or even wrinkle relaxers and dermal fillers, this may just be the treatment for you! Plasma can be applied to the skin using different applicator tips to provide a wide range of bespoke treatments. The most popular is to shrink and tighten lax skin to stimulate collagen synthesis and remodel the deeper layers. It can also kill germs and bacteria, dramatically increase the skin absorption of active ingredients, and have an ablative effect to remove superficial, benign skin lesions such as skin tags. The Plamere® Plasma device uses plasma, which is an ionized gas produced between the tip of the applicator and your skin. During the procedure a needle is used to target the plasma very precisely at the area required, creating an electric arc, referred to as a plasma flash. Only the surface of the skin is affected, causing tissue to retract (skin tightening) without affecting the surrounding areas or deeper skin layers. 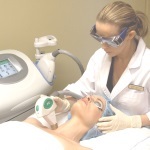 This is known as sublimation, the process of turning a solid directly to gas, to effectively treat a variety of skin problems and triggering collagen renewal. In some cases you may only require 1 treatment and depends on a number of factors. This will be discussed with you at your consultation, along with interval times for additional treatments. This will depend on the size of the area to be treated and in most cases 40 minutes is included for application of a numbing cream prior to your procedure. Small areas may only take an hour with larger areas requiring additional time. For removal of skin tags it may only be a 15-minute procedure as numbing cream may not be necessary. There should be no pain, and only minimal discomfort due to the numbing cream. If numbing cream is forfeited, the sensation would feel like a short sharp electric spark. Immediately after the treatment you may experience a burning sensation, this can be reduced with the application of ice packs to reduce the heat and soothe the area. You may continue this at home for as long as necessary but ensure the ice packs are clean! Some results are seen immediately after the treatment, though in cases where collagen synthesis and skin remodelling are required, final results may take a few months to be seen. Pink atrophic lesions (where the arcs were applied) may last up to 6 months after treatment but eventually subsides on its own. It is thought it may be due to the premature use of makeup or inappropriate products during the short-term healing process. Prolonged periods of skin laxity on the upper eyelids may occur after high intensity treatments, and is also associated with a mild feeling of discomfort. Please note that in all cases, skin laxity is transient and only observed during the long-term healing process while the area was still very tender. Patients can resume regular activities right away with minimal discomfort. Expected skin responses vary immensely depending on the treatment type and intensity applied. There are two healing phases in localised skin tightening using electrical Plasma: Short term and Long term. Short-term healing is immediately visible as redness, swelling and small carbon crusts seen as brown spots which will scab in a few days. Long-term healing deals with regeneration and remodelling of the skin, which occurs over the course of weeks, and sometimes even months before the final outcome is seen. Swelling and redness are characteristic of this procedure and should always be expected as the area is recovering from a deliberate controlled and isolated burn. This will cause redness and swelling due to the inflammatory response, which in turn results in the desired localised skin tightening via skin regeneration and remodelling. The timeframe and severity of the healing process will vary according to the treatment intensity and the area being treated. Swelling and redness can be minimised using certain techniques, but never completely avoided and will subside on its own accord. Day 1. Swelling usually peaks the morning following the treatment, so we recommend applying clean ice packs regularly, and sleeping slightly elevated especially when treating the eye area. Some of these clients might find it harder to open their eyes first thing in the morning, though the swelling will reduce throughout the day. Sensitivity and small crusted spots (carbon crusting) may occur, this is normal and expected. Itching is also normal to experience throughout the healing phase. Day 2. The swelling is the same or slightly less than the day 1 and will also be worse in the morning, subsiding throughout the day. Sometimes when treating the upper eyelids the swelling may migrate to under the eye area even if it wasn’t treated. This is due to gravity and will subside over the following days. Day 3. The crusted spots where the plasma was applied will start turning into scabs. These must not be picked and will fall off on their own accord, within approximately 7-10 days. Any sensitivity and swelling should have subsided dramatically. Day 4. The area should no longer be sensitive, though may still have some mild residual swelling. Day 5. All swelling should have subsided, though some scabs may still be present. Day 6. The scabs should have started to fall off, and in most cases people will struggle to tell whether any treatment has been performed. Day 7. Most of the scabs should have fallen off, and you can start using your skin care, sunscreen and make-up as usual. You may experience a stinging sensation when applying creams or washing normally. Weeks 2, 3 & 4 Depending on how aggressive the treatment was, the area may still look pink and feel sensitive to the touch and may be itchy and dry. Month 2. All sensitivity should have subsided, and the skin colour returned to normal. How do I look after my skin after the treatment? The importance of after-care is to encourage the normal wound healing response, prevent premature removal of the crusted spots and minimising the risk of infection, scarring, and other possible complications. Clean the treated area morning and night with a neutral cleanser such as Cetaphil. Wash as gently as possible and do not rub. Dry gently using a CLEAN towel, patting but never rubbing. Apply either Bepanthen® Antiseptic Cream or Stratamed scar therapy gel immediately after cleansing and reapply when needed ensuring you have clean hands. Wash the area again during the day if it has been exposed to dirt, dust or other possible contaminants. Make sure your bed linen is clean, to try and minimise contact with bacteria while sleeping. Do not allow pets to lick the area. Do not touch the treated with your hands unless you have just washed them properly. 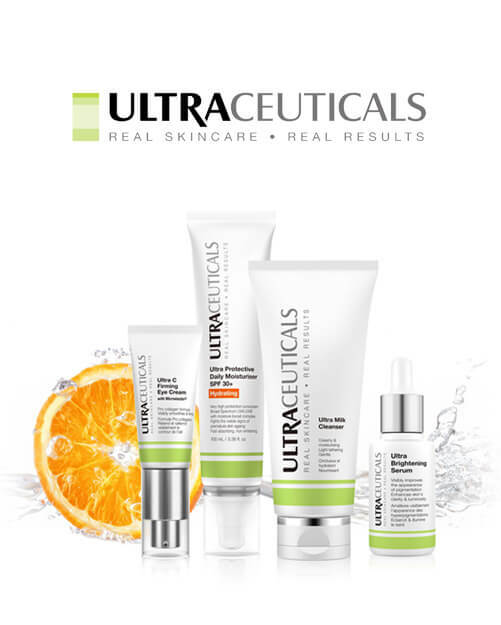 Do not use any skin care or creams other than Bepanthen® Antiseptic Cream or Stratamed scar therapy gel on the treated area as they may lead to infection, delayed healing and other minor adverse effects, especially if used before the scabbing takes place. Use make up of any type on and around the treatment area for at least 7 days. The only exception is a special camouflage makeup called Lycogel® which may be used on broken skin. After-care during the scabbing phase. Avoid the use of any other creams and make up though you may gently apply a broad spectrum, SPF 30+ sunscreen over the Bepanthen or Stratamed. After-care once the scabs have fallen off. The area may be slightly pink, sensitive, itchy and dry. You may resume your active skin care routine, though be aware you may experience a stinging sensation. 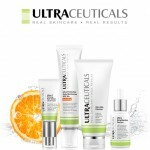 Apply a broad spectrum, SPF 30+ (minimum) sun screen every day after your skin care. Make up may be applied over your sun screen. Avoid deliberate and direct sun exposure for at least 3 months after the last treatment. Early sun exposure, even while you are wearing sunscreen can increase the likelihood of post inflammatory hyper-pigmentation (PIHP) and collagen loss reducing the desired results. 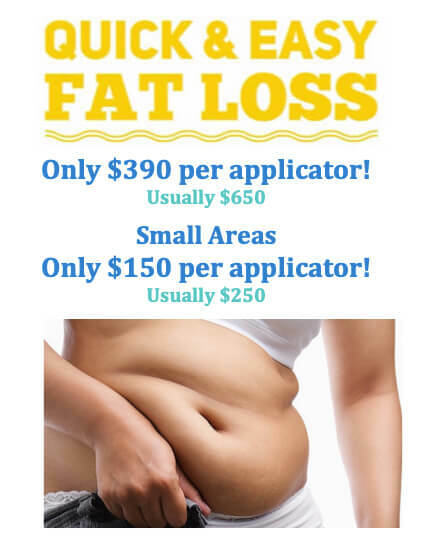 Call us on (08) 9300 3663, or book your initial consultation online now. Click the image to see the description and enlarge.